Set up a working email address. Log on to http://www.elcduval.org/voluntary-pre- k/ and complete the online VPK application. Separately scan and submit supporting documents in PDF format. Once the application and documentation is reviewed, a Certificate of Eligibility will be emailed to families within five (5) business days. 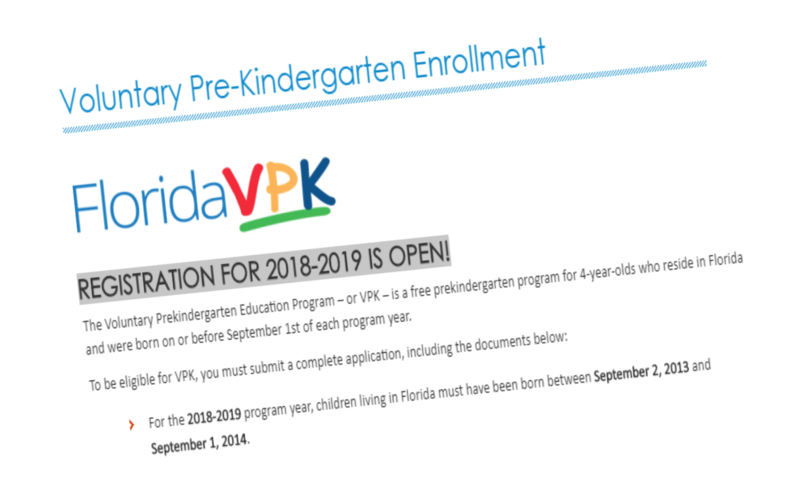 A list of eligible VPK Providers is available online to view and download. Please Bring Your Approved Voucher Back to Parks’ Place to Secure Your Spot Today!